It is incredible how generous the Outlander cast and crew are with their time and to their fans. We have never seen anything like this before and are so grateful they are willing to share insight with us. 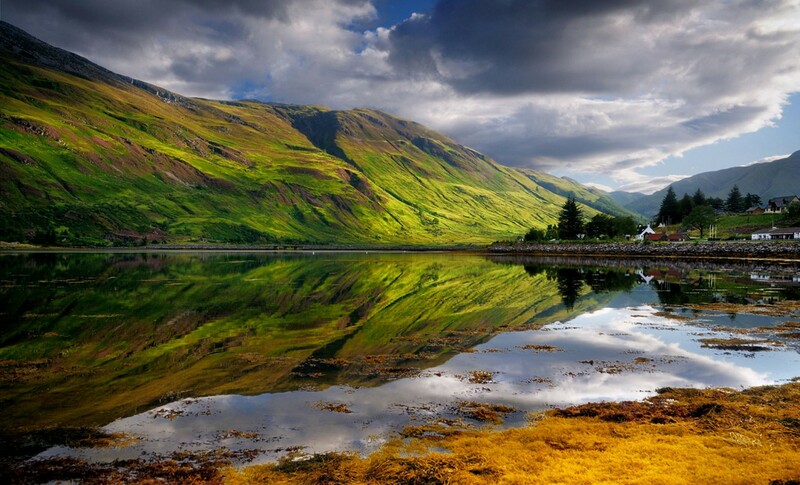 If you have not visited the Outlander Community website, you are missing a treat. 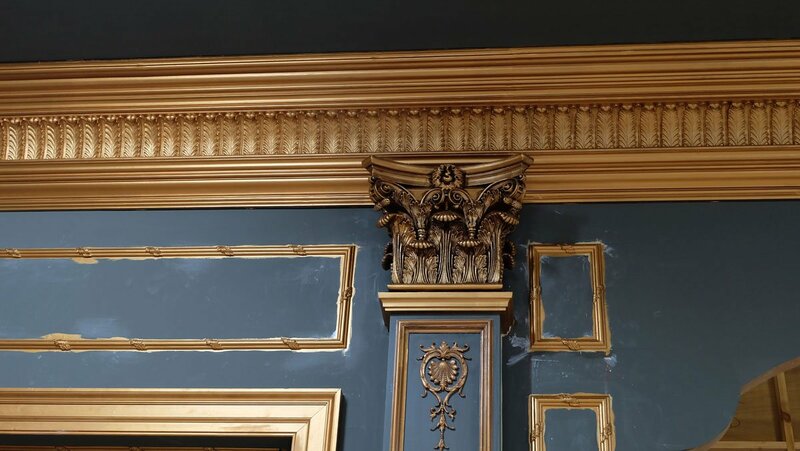 To give each room its own distinct look, the walls were covered with intricate wall moldings made of plaster. 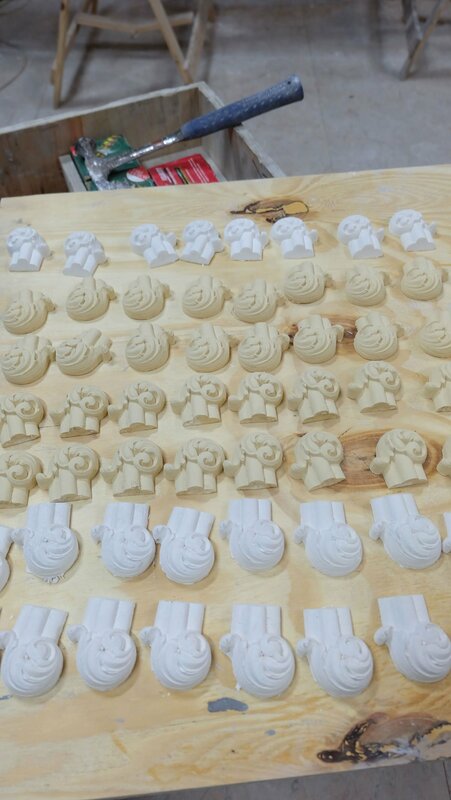 Some simple moldings were made of wood, but plaster men and women cast many different moldings, including the very intricate corner panel molds and ceiling cornice, because this method is much more cost effective. 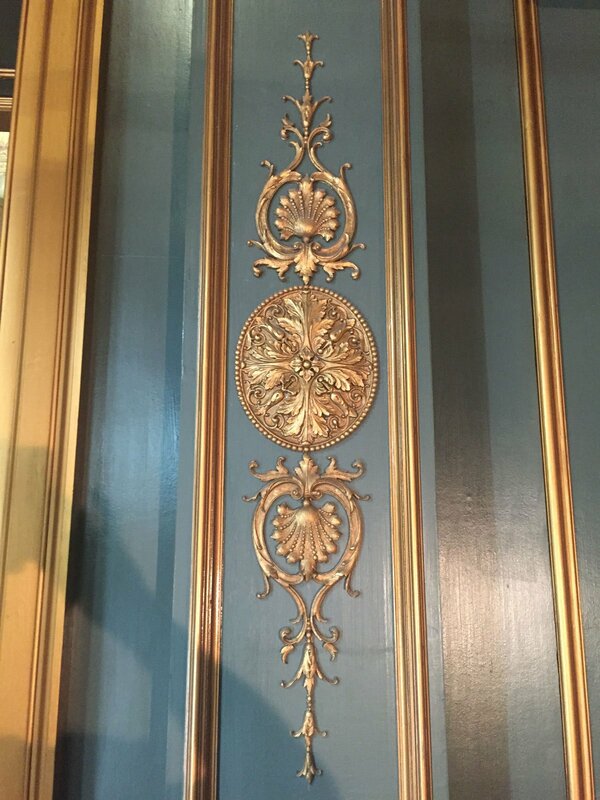 We used many different corner pieces that put a French flourish on the corners of the wall panels. 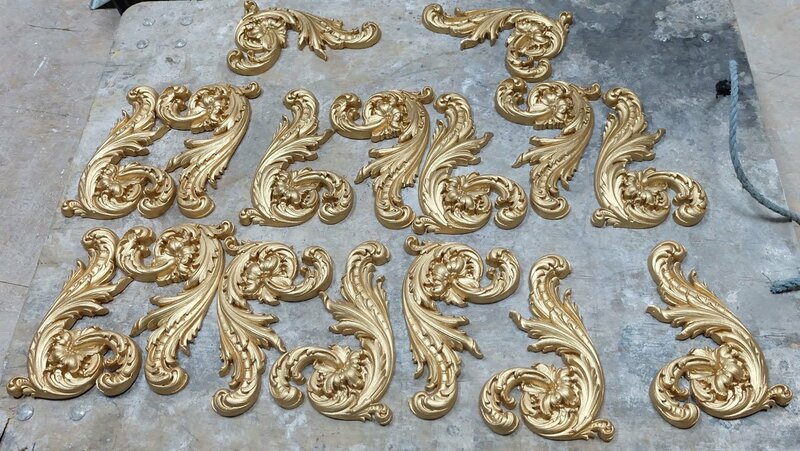 The oval molds with the added French flourish were cast for the pilasters in the parlor. We call this dress ‘the Dior,’ in our department as it is based on one of the most famous pieces of fashion in history, the Bar Suit, designed by Christian Dior in 1945. We based the design of Claire’s costumes on the great fashion designs of post war Paris. We looked to Dior, Balenciaga, Balmain, and Charles James. 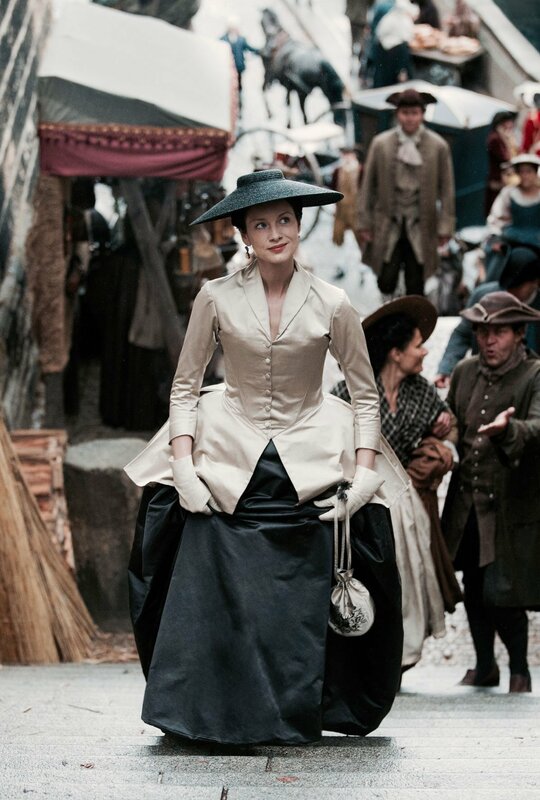 Claire was a woman of their time, not the 18th century. We thought she might choose cleaner stronger lines over the ornate, embellished fashion of the French Court.